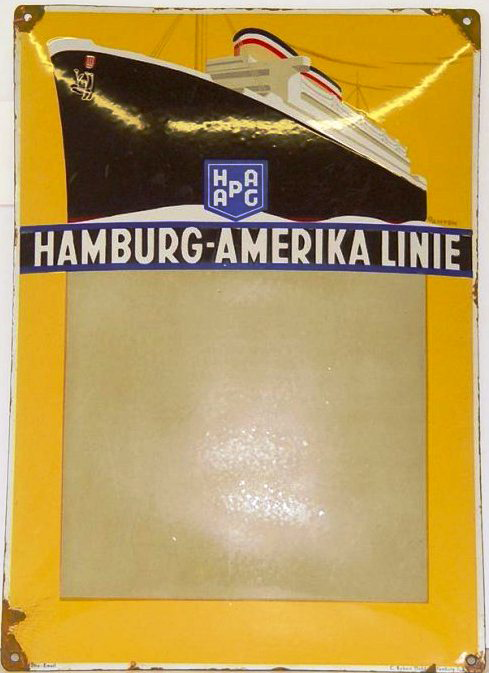 This is a rectangular Hamburg-Amerika Lines porcelain sign. This particular Hamburg-Amerika Line sign is prodimantly yellow with white text. It reads, “Hamburg-Amerika Line” and features a large ship at the top.